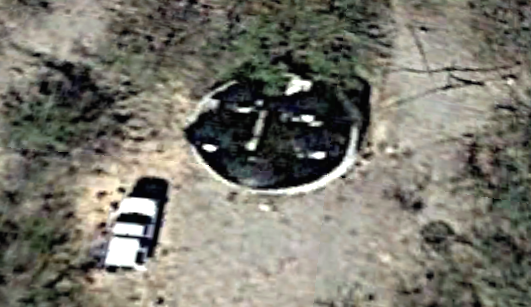 UFO SIGHTINGS DAILY: Black UFO Found Landed In Desert In Arizona On Google Earth Map, March 2016, Video, UFO Sighting News. 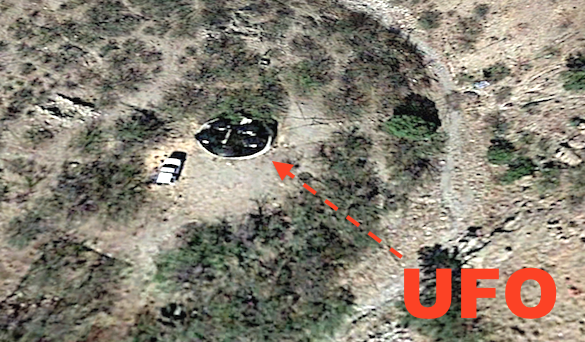 Black UFO Found Landed In Desert In Arizona On Google Earth Map, March 2016, Video, UFO Sighting News. 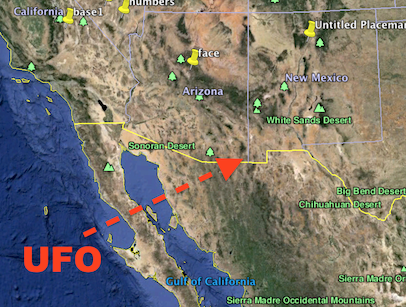 Here is a great catch of a black disk UFO landed out in the middle of nowhere on the boarder of Arizona, New Mexico and Mexico. Its an hour drive to get to any city, but there is a white pick up truck parked near the black disk. The disk is located where no one would ever look for it. 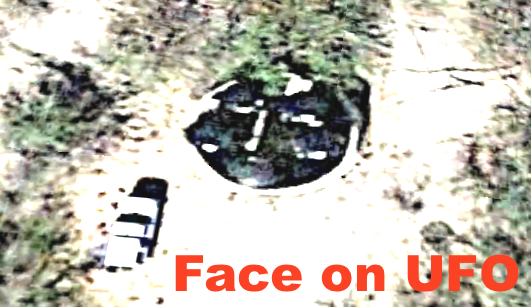 Usually UFOs are parked below water, but to have it above the ground is much more convenient to use in other ways. 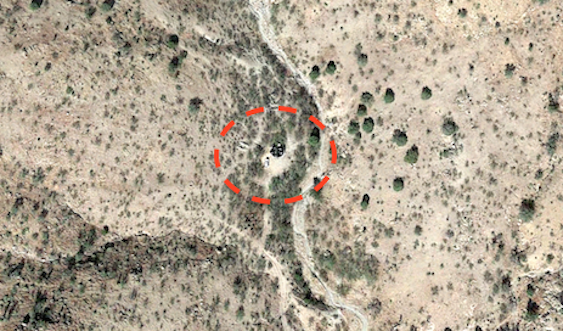 Don't take my word for it, copy paste the coordinates into the Google search box and check it out.